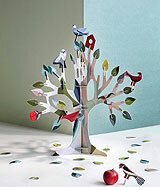 I've blogged about Olga Wassupbrothers' lovely creations here. 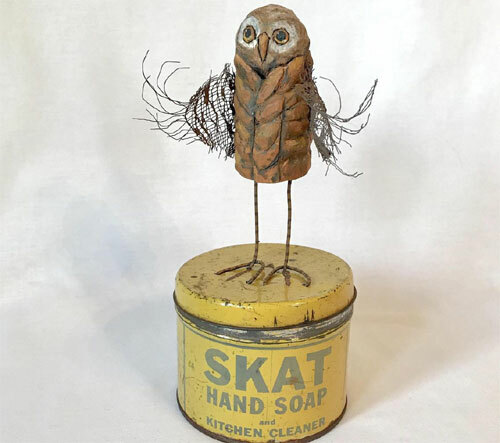 I am excited to share that she has offered this one-of-kind owl for the Owlsome Deal exclusively to My Owl Barn friends at 50% off! 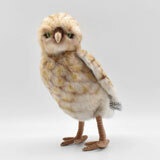 Frederic the owl is a handmade art toy with movable wings that'll fit in your pocket or seat on your hands. 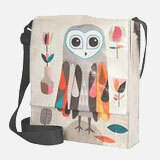 The little owl is made from a variety of recycled and vintage materials that came from different places and times. 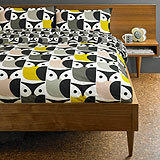 You can get this owl at the special price by clicking 'Add to Cart' button below. 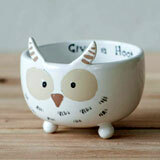 It'll make a perfect gift for any owl lover! 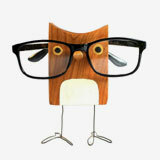 - The owl is 20сm (7.8'') tall from head to toes and 12cm (5'') when he sits. 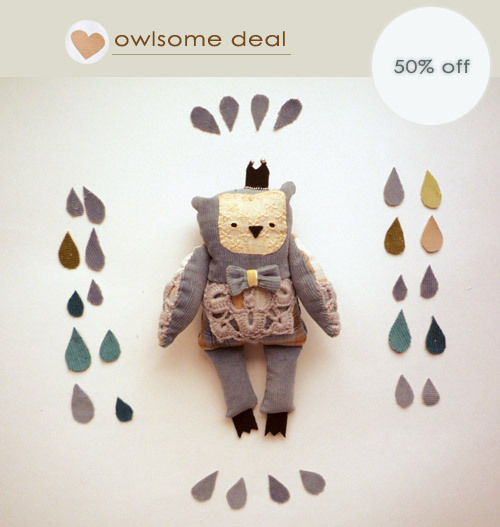 - Owl contains small parts, so may not be suitable for children under 5 years. - If you have any pre-purchase enquiries or questions about your purchase. Please email at ivanovastyle@ya.ru. Frederic is so darling! 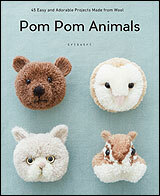 I like his colors and his softiness!